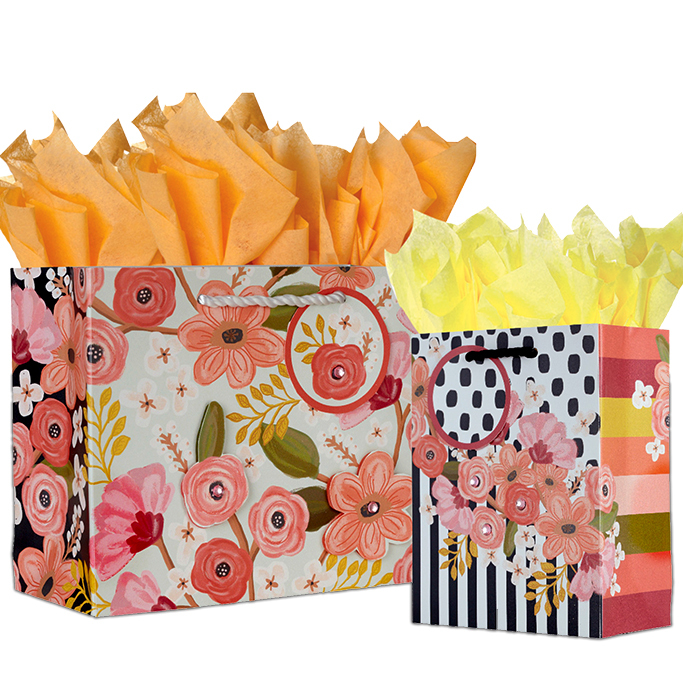 This is a digitally drawn floral design that was made for Jillson & Roberts line of wrap, gift totes and other items including mailing boxers! This is a top selling design and was even used for the catalog cover the year it debuted. 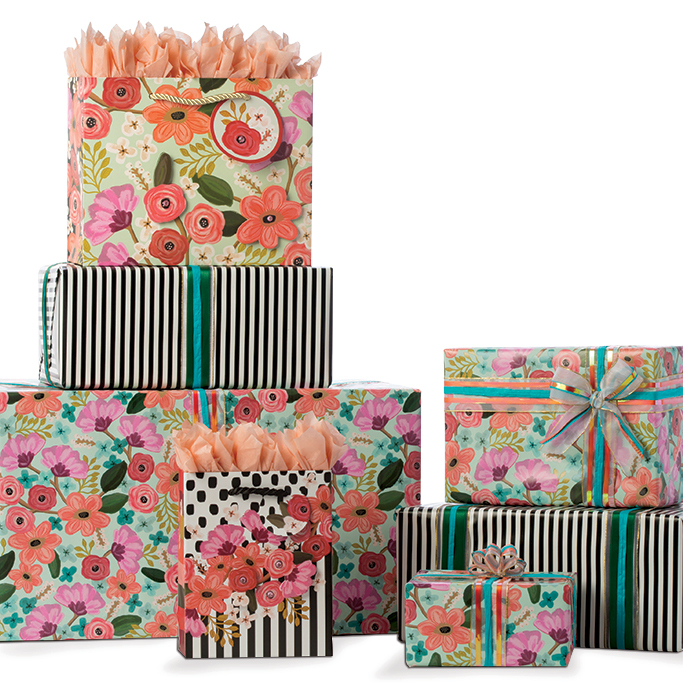 MY ROLE: All Illustration and design of layout for a complete line of products including gift wrap, gift totes, mailing boxes and tissue.